Disclaimer: The route described hereafter may not, currently, be legal to travel and if it is legal to travel, may not be wise to travel. In addition, any laws that may have been broken, if they were broken, were broken unintentionally and would not have been broken if their existence was known prior to the breaking. Finally, any actions, thoughts of actions, and specifically descriptions of actions, described hereafter may contain sarcasm, attempts at humor and exaggerations of the truth and may not accurately portray the experience and wise thinking of the travelers involved. Now please read on. Like most of Claudia’s and my adventures, this one started with a line on the map. 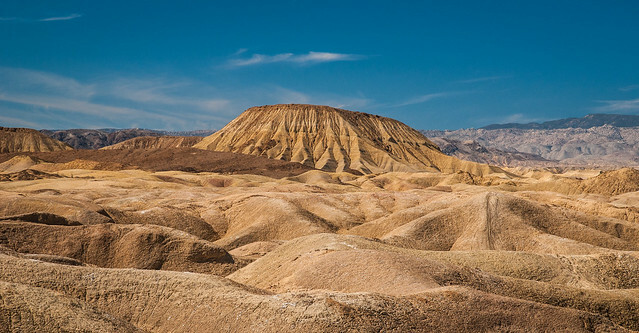 We were in Plaster City, California and wanted to head up to Anza Borrego Desert State Park, the largest state park in California. This is a trip of a couple of hours, on paved roads, but I saw an alternative route in the DeLorme Atlas and Gazetteer called the Old Overland Stage Route. The Old Overland Stage Route is part of the historic Butterfield Overland Mail Route that, from 1857 to 1861, carried passengers and mail from Memphis, Tennessee and St. Louis, Missouri to San Francisco, California. 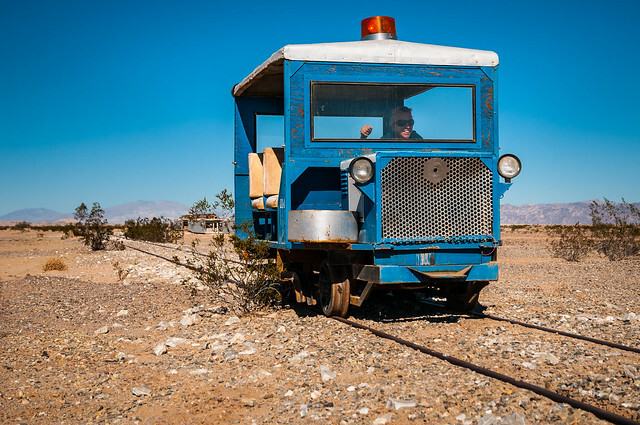 It follows a sand track north along the railroad tracks from Plaster City, then west through the Carrizo Badlands of Anza Borrego State Park, to its eventual intersection with Highway S2 where it becomes the Great Southern Overland Stage Route of 1849 and continues north to Scissors Crossing and the junction with Highway 78. 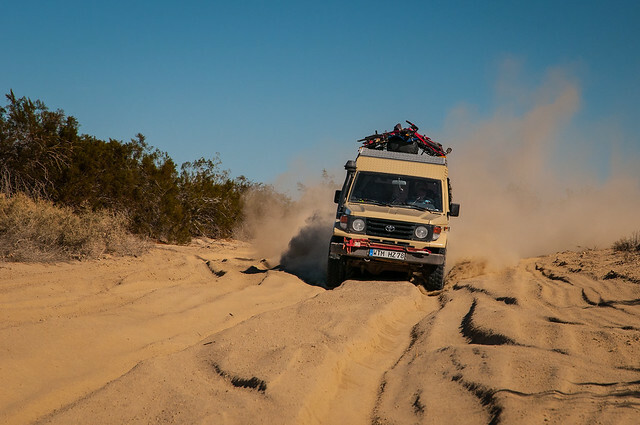 There were a few questionable parts on the route, but after checking the GPS and finding the track shown, the decision was made, we were following the Old Overland Stage Route west. which, according to Claudia, wasn’t going to work, we headed north along the railroad tracks. Our first turn to the west followed a wash that headed in the wrong direction, but after a quick backtrack and a steep climb to higher ground, we were finally heading out on the Old Overland Stage Route. The first questionable part of the route was how close it ran to the El Centro Naval Reservation and specifically, how close it ran to the bombing range of the El Centro Naval Reservation. 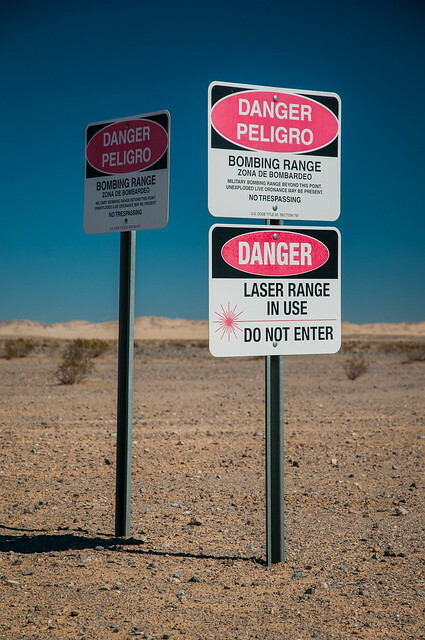 It was close, but stayed on the right side of safety, so questionable Part #1 was not a problem, but after following the GPS for a few more miles we came upon questionable Part #2, the Carrizo Arial Gunnery Range. The GPS clearly shows the road goes through here and the GPS is never wrong. The Old Overland Stage Route follows a well worn track shown on the app, Maps.me almost perfectly. When the route does deviate, it’s rare and only by a couple of hundred feet. After driving across more dusty desert we approached the Carrizo Badlands and realized the risk was worth it, the area is stunning. past occasional reminders of where we were. we continued west, stumbling down a few washes until we found the one that correctly followed the track on the GPS (hint, it’s not the muddy one with the water flowing down the middle). After another hour of driving we finally arrived at the border to safety, the western edge of the Carrizo Impact Area. and found a spot at the Old Butterfield Stage Coach Facility. The following morning dawned clear and after airing up the tires, all that was left was to drive the remaining couple of miles to the pavement and the junction with The Great Southern Overland Stage Route of 1849. 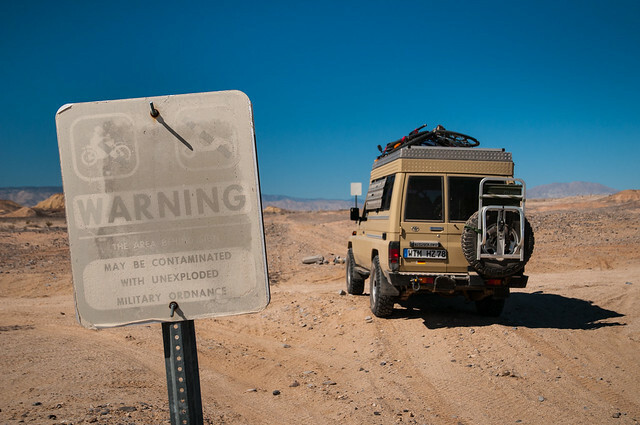 Now that you have read this, I want to make clear, as we drove the Old Overland Stage Route from east to west, the only sign we saw on the route was the old and faded no OHVs sign. Being that this road is listed on the map and had many tracks heading down it, we took that to mean highway legal vehicles are allowed on the road, but not off the road and no OHVs are allowed. The do not enter sign, warning vehicles traveling from the west, was not visible until after we crossed and exited the Carrizo Impact Area. The photography is always gorgeous, and along with the written word, it puts you right there on the trip, too.